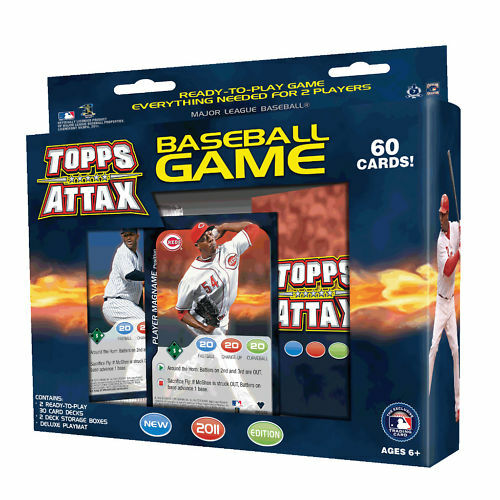 More cards in every pack, new game format, new design, new packaging and according to Topps, the latest Attax is a "whole new ballgame". New expanded strategy that goes beyond home runs and pitching to include base hits, base running, fielding and bag swiping. 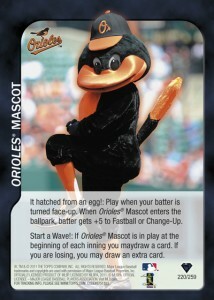 New ballpark and mascot cards! 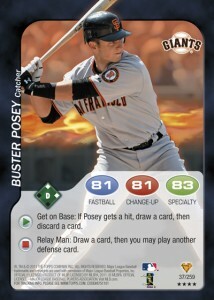 Both the Starter Pack and Rack Pack will include: 1 Stadium Card, 1 Foil Batter Card, 1 rule sheet and 1 playmat. 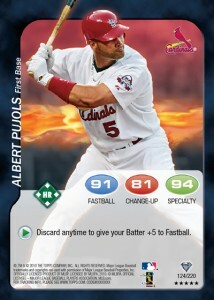 Attax returns for another season of strategy based baseball card fun. 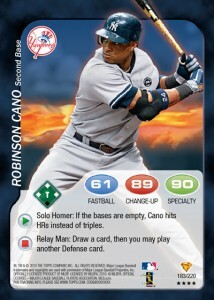 2011 Topps Attax features new card design, new packaging and a revamped and expanded game format that now includes base hits, base running, fielding and bag swiping. Attax is currently slated to release in late April of this year.